Maria M. and her family had been renting their San Francisco for more than three years when they learned that the home was being foreclosed. Like many tenants who have been affected by the foreclosure crisis she was caught off guard — receiving little to no information in a language she could understand from the property owner, real estate agent, or bank. Because she is a tenant in San Francisco, Maria and her family had a series of rights that protected their right to stay in their home. Rights that they defended and which resulted in over a year of peace of mind. Maria did everything she was supposed to do to ensure that her tenancy was protected and respected. She found out who owned her home (Union Bank), she sent them the information they required regarding her lease, she began to pay rent, she cooperated with inspections and set up an open house schedule so that prospective buyers could view the home. 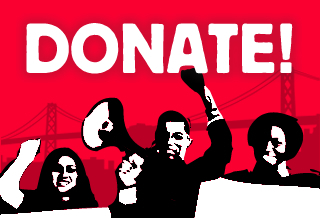 All while continuously reminding the real estate agent who she was in the most contact with, that she did not wish to move, would not accept a cash for keys deal and that she had the full support of the San Francisco Rent Ordinance behind her decision. Her situation was not perfect, she was in the limbo, with the banks becoming reluctant landlords with an end goal to sell the home. Nevertheless, it was working out and, as she explained to CJJC counselors, she felt like she had some control of the situation. This was until she received a letter from the lawyers of Union Bank announcing that in 60 days a $1200.00 rent increase would be taking effect and if she wished to continue living in her home she would have to pay the new amount. The increase would increase her rent by 100%. Everything she thought she knew about her situation changed. What happened to Maria was that she had received a Costa Hawkins Notice. 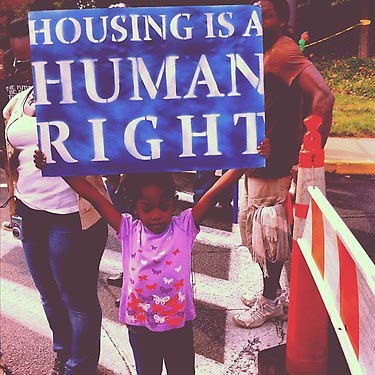 Housing rights organizations recognize Costa Hawkins as an unjust law at the state level. It is designed to undermine local rent control ordinances by creating exceptions to rent control and allowing property owners to significantly increase the rent of units to market rate level. In San Francisco there are two situations that make a tenant vulnerable to a Costa Hawkins rent increase. 2. If the tenant lives in a single family home and there are no in-law units, or rooms rented on the property (that means there really is only one unit being rented by one household). Maria’s case fell under the second loophole. Union Bank laywers told Maria’s housing counselor that the family lived in a single family home and that the Bank wanted to bring the rent up to market rate. The lawyers were clear that it did not matter to them that this family (like all families) have every right to homes that they can afford. The extra $1200 a month the bank would receive would not make much of a difference for a corporation like Union Bank, but it would create an impossible situation for this family that would probably result in eviction. “Well that is just fine with us, an empty home is easier to sell anyway,” was the response of the bank lawyer. It became clear to Maria and her housing counselor that if they were going to protect her right to stay, they would have to talk to the bank directly, which was purely a delay tactic to make things harder for tenants like Maria to exercise their rights. So they contacted the bank and informed them that their actions were clearly showing they valued profits over people and that to Union Bank an $1200 extra a month was more valuable to them than the well being of a family. Housing counselors have felt the consequences of this attitude for years. However, when situations arise that clearly illustrate bank and corporations flawed logic they do not like it. It is the peek behind the curtain that is the beginning of holding them accountable to their actions. Union Bank was no different and they rapidly dropped the Costa Hawkins. Apparently, $1200 a month was not worth all the bad publicity — for now. Maria’s home is safe until a new owner takes possession and the fight begins again. But this fight is bigger than just Maria’s home. What we are seeing with the foreclosure crisis and its’ effect on tenants is an intersection of issues that highlight the gaps in tenant protections in California. Costa Hawkins has been used to displace tenant for years and now banks use it as part of their eviction arsenal. Housing organizations recognize Costa Hawkins must be overturned and replaced by laws that protect tenants on a statewide level. When tenants stand their ground and fight they can win. Maria and the courage she had to take on a Big Bank shows that it pays to stand up for one’s housing rights.